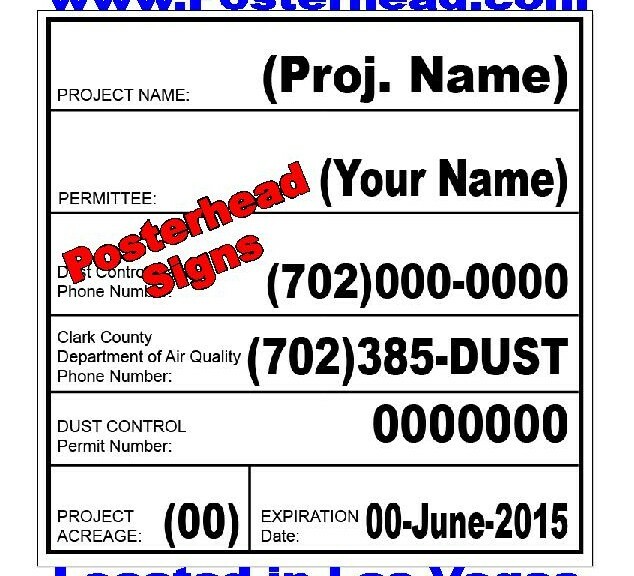 January 29, 2019 Robert W.
Dust control sign printing in Vegas can get you those dust permit signs required by Air Quality Management Board printed and made for your construction project. Dust control sign printing prints those 4ft x 4ft dust permit signs and the 4ft x 8ft dust permit signs that are required by law. Clark County Air Quality Management Board regulates the air quality in Las Vegas and has determined that construction causes dust to be moved about and placed into the air the Southern Nevadans breathe. Consequently, to avoid unnecessary dust, Clark County Air Quality Board has specific rules and regulations regarding the dust that a construction site can omit. Part of the requirement is to have a dust class on the subject so that people can become aware of the dust issues and comply with keeping the dust from going into the air. Another part of the requirements is to have a dust permit sign measuring 4ft x 4ft to be made and installed on premises for any construction project less than 10 acres. A 4ft x 8ft dust control sign is required for any construction project that is 10 acres or more. These dust signs require certain information on them such as contact information forth responsible party, project information, permit number and also when the permit is good for. Dust control sign printing is not expensive, as a 4ft x 4ft dust sign is less than one hundred dollars ( mounted on a double sided aluminum panel) and a 4ft x 8ft dust control sign is about one hundred seventy five dollars mounted on aluminum. Contractors seem to like the aluminum signs as they are easier to mount on site and also last longer than wood dust signs since aluminum weathers so much better than wood. Contact a local sign company in Vegas if you require a dust control sign printing. Construction SWPPP signs and dust signs are just a few samples of construction signs needed in Las Vegas. Storm Water Pollution Prevention Plan , dust permit signs, no trespassing signs, etc. are many times mandated by the different government organizations in Clark County. For example, Clark County Air Quality regulates dust in Cark County and they enforce dust procedures. One of their requirement is that dust signs be installed on the premises of construction sites and the signs themselves are regulated by size, text, font size, etc. SWPPP signs are regulated by the Stormwater Quality Management Committee whose job is to regulate water runoff from a construction property. No trespassing signs are not mandated usually, but sometimes they are by Clark County on certain job sites. The no trespassing code is a Nevada Revised Statute NRS. 207.200, but the official Clark County no trespass / n dumping signs also includes Clark County codes 90, 91, & 92. Construction SWPPP signs and dust signs are generally made with aluminum so that they are sturdy and can withstand the weather elements of the Clark County area. In many cases, these signs will be run over at a construction site or have to withstand wind storms and having an aluminum sign is a good idea to make sure the signs last for the complete construction project. Plastic signs or coroplast signs have a tendency to get blown away in the wind or deteriorate and nobody wants a county inspector at the job site asking where the signs are ? There is nothing worse than to be fined or having a construction project shut down for non compliance by a govt. agency. Construction SWPPP signs and dust signs can be made at local sign shops fairly inexpensively and quick. Turnaround time on these construction signs can be same day in cases of emergency, otherwise its a two or three day period. 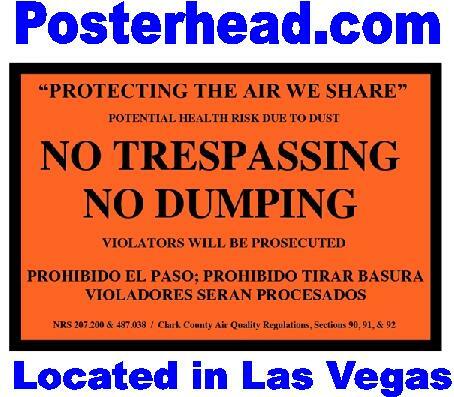 Fast and cheap dust sign printing in Las Vegas is available in Clark County to get you that required dust permit sign to fulfill the requirements of the Clark County Air Quality Management Board. More information from Air Quality can be found at http://www.clarkcountynv.gov/airquality/compliance/Pages/Compliance_DustPermits.aspx. 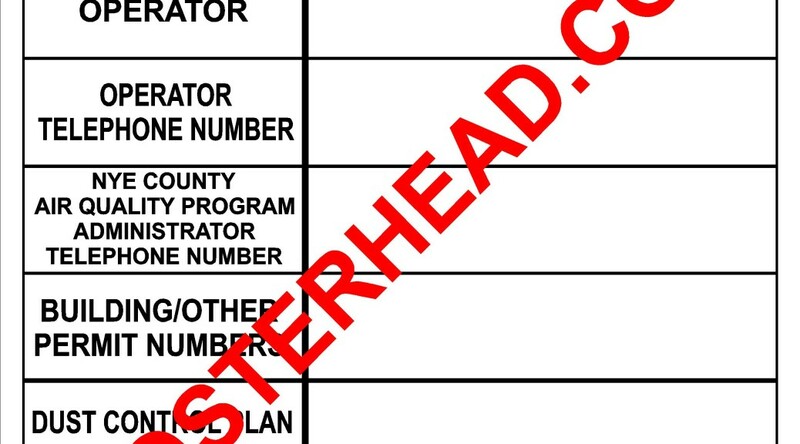 Sign shops like www.Posterhead.com can get you that dust permit sign fast and cheap. Normally, there are 2 different types of signs required for your construction project, a 4ft x 8ft. sign or a 4ft x 8ft dust control sign. Both these signs can be made same day if necessary. Clark County Air Quality Management Board wants a 4ft x 4ft sign for projects 10acrwes or less and a 4ft x 8ft dust sign for projects larger than 10 acres. Certain text is required on the signs along with minimum height requirements of lettering. Without the required dust control permit sign, actions can be taken against you that includes fines and work stoppage. Fast and cheap dust sign printing in Las Vegas can get you that dust sign for under $100 for a 4ft x 4ft sign and $175 for a 4ft. by 8ft. dust permit sign. These signs are made with an aluminum substrate that hold up well in all sorts of weather and are double sided. These aluminum dust control signs last longer than the old wood signs that deteriorate with the hot summer sun and rain. The signs are then hung up at the job site as required by the Air Quality Management Board. ( There placement on job sites also is subject to rules and regulations). 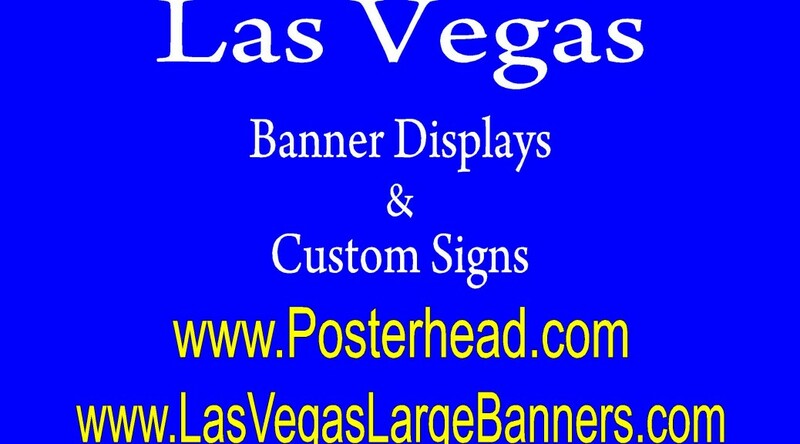 Fast and cheap dust permit sign printing in Las Vegas can be found at sign shops that make construction signs. These dust permit signs can be made same day in cases of emergencies, but normally take a couple of days to make.